Dealers learned about BioZyme’s new products, how to increase sales and use the Online Dealer Center. BioZyme product dealers from across the country gathered to attend the supplement division’s annual Dealer Retreat on June 15-16. “We are fully committed to our family of dealers and understand the important role dealers play in the success of our company. Our dedicated dealers are the face of BioZyme when it comes to daily interaction with our customers, so we understand the value in supporting their efforts through education, as well as giving them the tools they need to successfully sell our products and grow their businesses,” said Lisa Norton, BioZyme Vice President. BioZyme has a total of 979 dealers located throughout the United States. Dealers were recognized for their success at an awards ceremony, had an opportunity to network, then were given a tour of BioZyme’s Winding River Research Farm and the state-of-the-art BioZyme fermentation plant in St. Joseph, Missouri where the company’s proprietary prebiotic Amaferm® is manufactured. 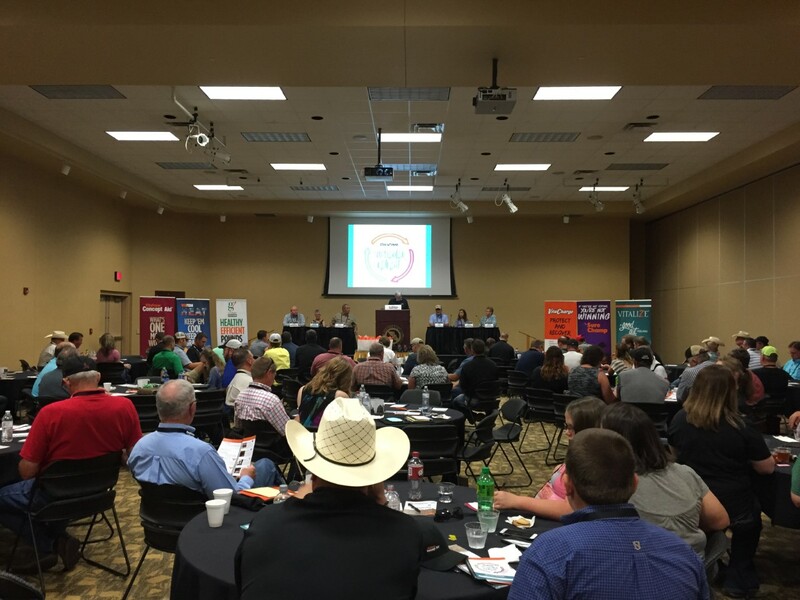 The second day of the retreat, held at Missouri Western State University, was dedicated to educating dealers about BioZyme’s newest products and providing them with valuable marketing tools geared toward finalizing sales, understanding our industry’s regulatory environment and utilizing BioZyme’s Online Dealer Center. Dennis Jemelka, a BioZyme dealer with FUL-O-PEP Feeds in Cuero and San Antonio, Texas, attended the retreat and praised BioZyme for its efforts introducing new products and sharing useful marketing techniques. For more information about becoming a BioZyme dealer, visit www.biozymeinc.com/become-a-dealer/.